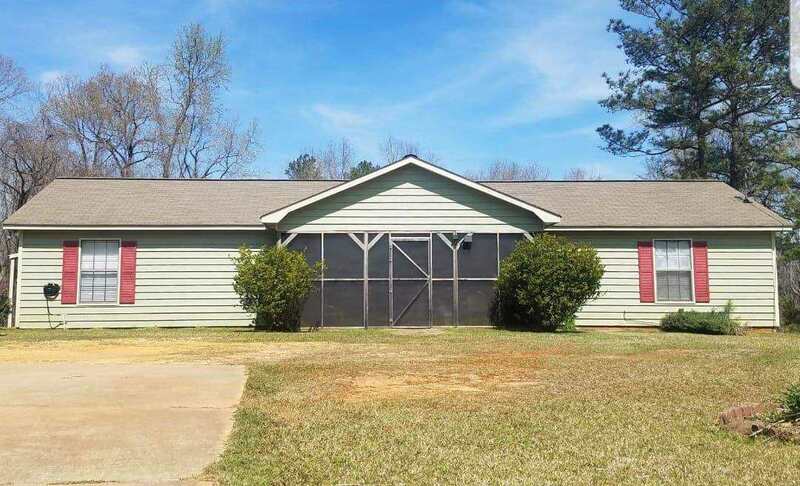 Well maintained home on 3/4 acre lot! Home features approximately 1440 sq. ft., large living room with vaulted ceiling and fire place with gas logs, kitchen with ample cabinet and counter space, separate dining area, 3 bedrooms and 2 bathrooms, master bath has separate shower and garden tub with double vanity, second bath has tub/shower combo, separate laundry room, pantry, central heat and air, and laminate hardwood, vinyl and tile floors throughout home. Outside features cedar siding, screened in front porch with rock detail, covered side patio, wooden back deck, and large yard perfect for planting and gardening. A must see!